Last week, the Fourth District Court of Appeal issued its opinion in the case of Seale v. Regions Bank, reversing a summary judgment of foreclosure entered by the trial court. In its opinion, the 4th DCA held “[a] wealth of case law makes it clear that in mortgage foreclosure cases, summary judgment is precluded if affirmative defenses are not factually refuted or shown to be legally insufficient.” The court further held that the defense of failure to provide notice of the default and acceleration was not refuted by anything in the record and remanded the case to the trial court for further proceedings on this issue. For those of us who regularly defend foreclosure proceedings, this case is a helpful reminder to the trial courts that it is important to take the time to evaluate the sufficiency of each affirmative defense before simply granting summary judgment in favor of the financial institutions. 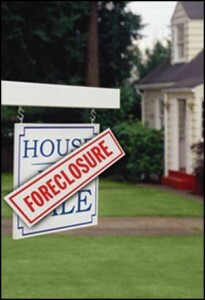 With a massive number of foreclosures churning their way through the courts, it is easy for the courts to summarily reject affirmative defenses that they consider to be boilerplate, but a skilled foreclosure defense attorney should be aware of the Seale case and rely on it to encourage the trial judge to evaluate the sufficiency of each affirmative defense.